Extract data from incoming emails and export it to Google Sheets, Excel or a database. It can parse email text from the email itself or from the attachments. 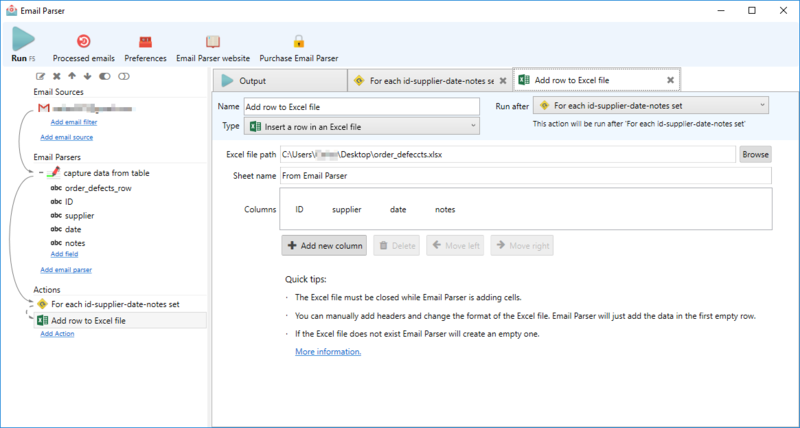 Parse incoming emails and export to Google Sheets, Excel or a database. It can extract email text from the email itself or from the attachments. It can parse email text from the email itself or from the attachments. The configuration is fast and easy thanks to the different parsing methods and the wide range of examples available. Text Monkey PRO is a clever program that cleans up ugly, over-quoted email text. It also includes 40 other handy functions. Text Monkey operates on text as it resides on the Windows clipboard, so it extends the functionality of every program you use. Mihov Mail Sender sends the same e-mail message to more people from your address book - but it displays only their name as recipient, so they will think this mail is ment only for them. You can send message as text or HTML formatted e-mail.